Does your vehicle have a water pump problem? Does your vehicle have a water pump problem? Does your vehicle have a water pump problem? A few signs could mean that there’s a problem with an important vehicle part. Those who find engine coolant on the ground, notice that their vehicle’s temperature gauge is running higher than normal, or see the check engine light turn on may have water pump issue. Water pumps help keep engines from overheating by circulating antifreeze through the engine to the radiator. It’s recommended that motorists experiencing these issues have their vehicle checked at an automotive service center. Technicians should do a visual inspection and perform a cooling system pressure test to determine where the leak may be. “External leaks are easier to find than internal engine leaks, but with today’s cars being so compactly built the technician may need to remove shield and other items to see where the coolant is leaking from,” the General Manager for HomeTowne Auto Repair & Tire said. A Dodge Charger that had a leaking water pump was recently brought to HomeTowne Auto Repair & Tire. 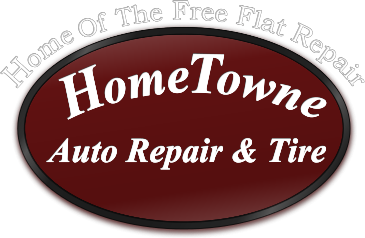 HomeTowne Auto Repair & Tire is an authorized Michelin and BFGoodrich tire dealer located in Woodbridge, Virginia. Automotive repair services are performed on all makes and models, including oil changes, brakes, alignments, inspections, and computer engine diagntics.